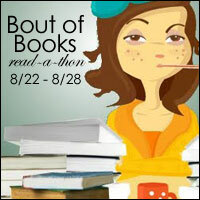 I just signed up for the Bout of Books read-a-thon. And I’m already doing a challenge. Which means I’m not reading…which is kind of the point of a read-a-thon. But you know what? The other point of the event is to connect with other bookish folks around the internet. So…here we are. Let’s have some fun! This challenge, hosted by Lori at Writing My Own Fairytale, is all about book to movie adaptations. We love them, we hate them, we love to hate them. I loved this movie when I was a kid. It’s inspiring and all about how good does overcome the bad, even if it takes a while. And it has some lovely bookish scenes. Oh, and it’s hilarious. I felt like they completely altered the motivation behind the plot, and made it a lot weaker by making it all about romance instead of ideals and, you know, family and equality.